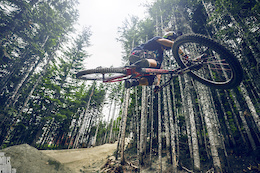 Szymon Godziek in Kamloops BC. Szymon Godziek got some nice moves in his pocket! Thanks to www.wolisphoto.com we can now enjoy those crispy beauties. Even by placing 6th in his quali runs (that was called finals after the weather issues) he got time to throw some big tricks! Signature "Superman is our favourite! Hope to see it at X Games Munich as he is still in top 5 of FMB World Tour and stay on the hot seat to get into first slopestyle MTB on X-Games! 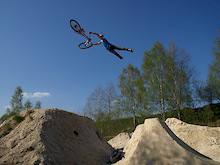 Szymon Godziek at La Poma bikepark with his Cody. Photo by Kuba Konwent. Ride Your Way 2 / Bling. 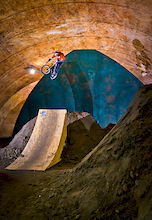 Dawid Godziek at Burn Dirtpark in Warsaw with his Nami v.2. Photo by Konrad Ruciński. Ride Your Way 2 / Bling. Dartmoor Team riders dominated Burn Dirtpark opening contest in Warsaw. Tomas Zejda with his new Two6Player won the overall classification. Congratulations !! Piotrek's tabletop over Skateplaza in Leszno with his Dartmoor Ghetto. Photo by Kuba Konwent - http://konwent.fotolog.pl/. Warsaw Sony Vaio Dirt Masters photostory. 1st Marek Lebek, 2nd Szymon Godziek, 3rd Pawel Turno. Best Trick Olav Langedrag Fjære. Supported by Dartmoor Bikes. Photo by Tomasz Rakoczy - http://tommysuperstar.com. Dawid Godziek with his Dartmoor Nami takes 4th place in Dirt Pro and 7th place in Park Pro during BMX Masters 2011 in Cologne. Congratulations for Dawid !!! Photo by Kuba Konwent - http://konwent.fotolog.pl/. Dawid "Szamanek" Godziek with his Nami. 360 cancan tire grab at the sunset. Photo by Adam Klimek - http://adamklimek.pl/. http://dartmoor-bikes.com. Tailwhip cancan by Thomas "Leader" Zejda. Photo by Zdenek Vit. Marek Łebek riding green Dartmoor Shine 2011 in great autumn scenery. Photo by Adam Klimek, adamklimek.pl.